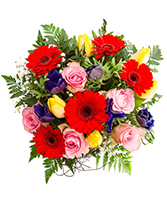 Order Birthday Flowers from a Northmead Florist. Send them flowers and sunshine with this bouquet of yellow roses and red hypericum. 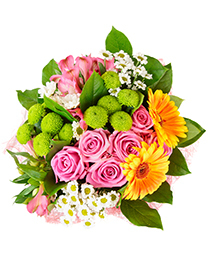 Help them feel well soon, order fresh flowers today! 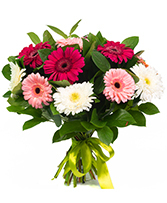 Bright, vibrant and always in-charge just like your mum. 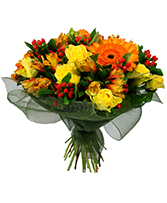 Surprise your mum with a flower arrangement full of beautiful yellow roses & orange gerbera daisies. Order today! 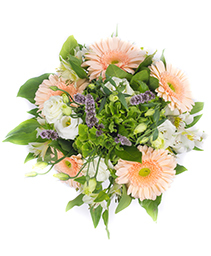 Pink roses and alstroemeria, orange gerberas, white asters and green poms make for a fun and playful arrangement that is hard to pass up! Order this top seller today! 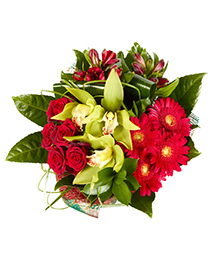 Saying “I’m sorry” is easy with red roses, gerberas, and orchids. 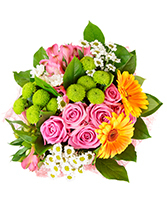 Some of the most sought after flowers, all in one bouquet. 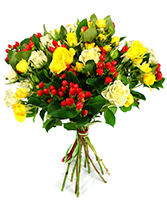 Send these fresh flowers today, and be well on your way to forgiveness! 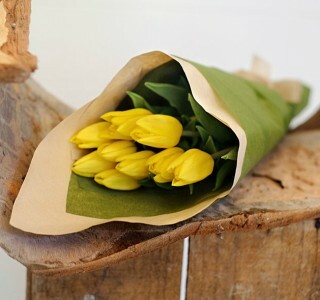 A delightful arrangement of yellow tulips that is as welcoming as the sun.